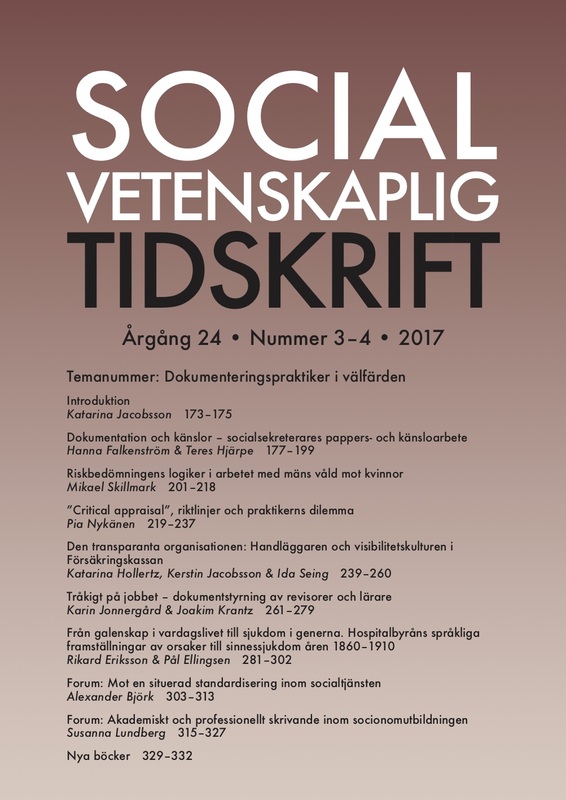 In 2008 a Swedish governmental report pointed out that the social services increasingly need to conduct their work based on an understanding of the effects of their services. The report stressed the development of an evidence-based practice as the long-term objective. However, the Swedish social services have been relatively slow to implement EBP. Several reasons can be given for this, including lack of contact between national, regional and local levels and tensions between state authorities, researchers and professionals regarding if and how EBP should be pursued in practice. The aim of this article is twofold; to identify and evaluate arguments for and against the critical appraisal approach and the guidelines approach with respect to how EBP ought to be conducted in the social services, and secondly, to suggest characteristics that other versions should have in order to try to avoid some of the counter-arguments that the two former approaches face. The examination of arguments shows that some arguments can be directed against both approaches and that some arguments are in need of empirical support. A hypothetical and a ”practical” dilemma for the practitioner is presented. The first arises when a hypothetical practitioner agrees with counter-arguments against the two approaches when it comes to the question of who should appraise evidence. The second might arise in today’s practical context in terms of the practitioner facing a ”contradictory environment”. Finally, ”stability and continuity”, ”sufficient proximity” and ”multi-disciplinarity” are suggested as desirable characteristics of other versions of EBP organizing.